Joanne took our "framed" theme very seriously and created a great 3D frame highlighting the bold paper with the sentiment panel which echoes the colours and the mood of the card! 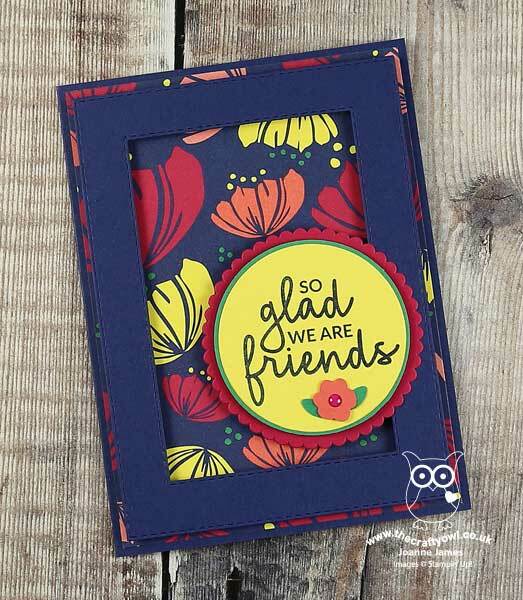 The cheery feeling this card creates is going to lift some lucky person's day to a new level! Awesome! 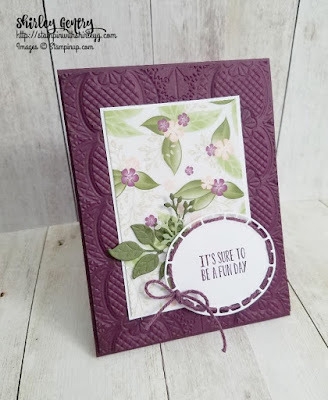 Shirley's creation is just a stunner, with the gorgeous texture from the embossing folder, the delicacy of the printed vellum, and the simple sentiment with the addition of the twine threaded through the borders and the foliage tucked in behind! The overall effect is peaceful and pleasing and balanced - just a joy to look at! 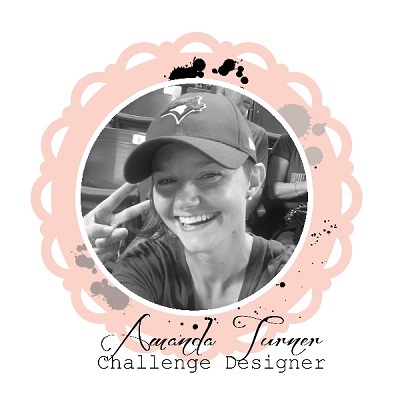 Congratulations, Shirley!